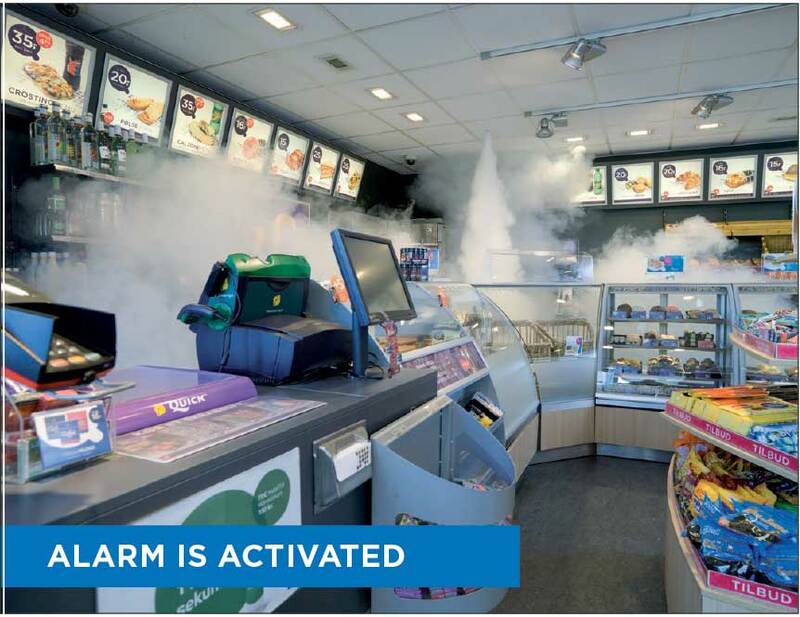 Fully integrates with your Intruder/Panic Alarm, warnings and activations are handled through your monitoring company. Designed for use in all retail environments. 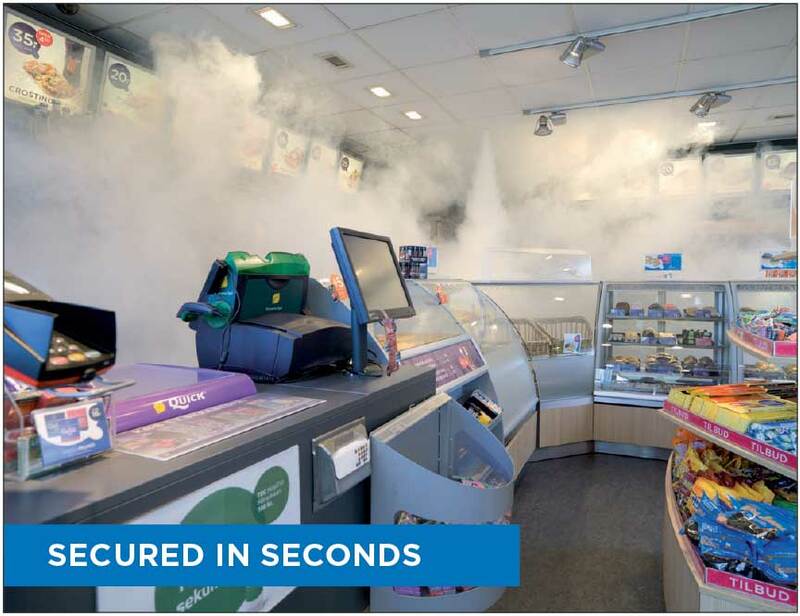 Small, Medium and Large premises Fog Cannons are available. Constantly ready, protected area immediately begins filling upon activation giving staff critical seconds to get to safety. We run a regular service programme to ensure your equipment remains in good working order.